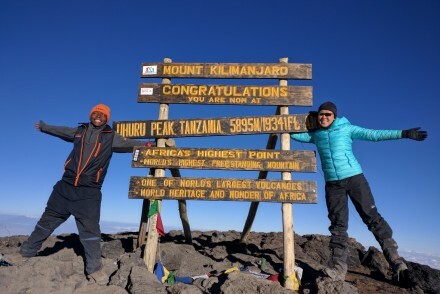 Standing at the top of Uhuru Peak, I broke down in tears; a mixture of emotions from pure exhaustion to sheer happiness. I hugged Evans, my guide, and expressed my gratitude for him pushing me (or rather dragging me) to the top. I was humbled. 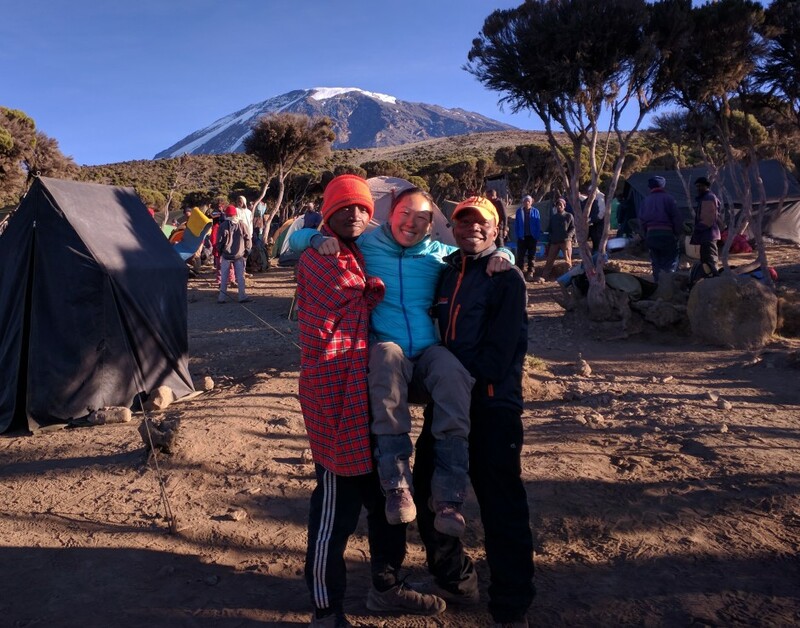 You see, when I set the intention to climb Kilimanjaro I knew it would be challenging, but I was pretty confident that I could make it to the top. After all, I’ve always been a tough cookie. If I set my mind to do something I have always completed it no matter how hard. Whether it was climbing Mt Fuji, trekking the Inca Trail, backpacking Patagonia, running the Tough Mudder (and getting electrocuted) or a marathon, I’ve always toughed it out. 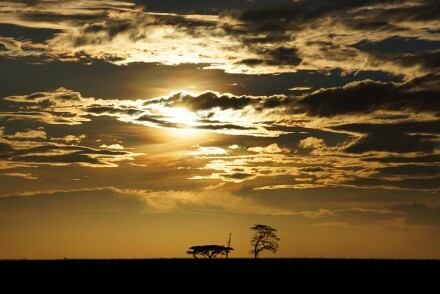 So why should Mount Kilimanjaro’s 19,341 feet be any different? 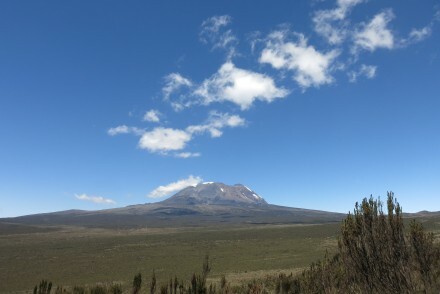 I quickly learned that Mount Kilimanjaro is indeed different. It tests your limits in every way imaginable (and unimaginable). From the altitude sickness that can strike anybody (even the fittest of fit) to the violent diarrhea that hits fast (and the bush toilets you have to go in) or the attempts to sleep through bone chilling evenings (and the grit it takes to leave your tent to pee in the middle of the freezing night). 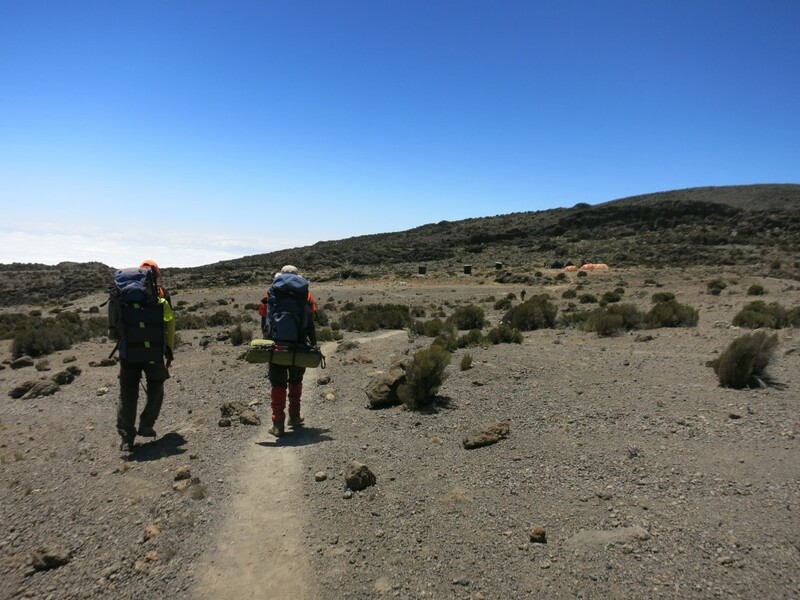 Kilimanjaro is both physically and mentally taxing. Final summit night is the true test of ones determination. Our climb began at 11pm. Just two hours into our 8-hour trek to the top I was hit with everything horrible: extreme fatigue, pounding headaches, dizziness. The weather itself was excruciatingly cold. So cold that my water bladder froze and I had to keep my Nalgene bottle upside down in a sock to prevent it from freezing so that I’d have water to drink. My fingers were numb despite having hand warmers inside my top-of-the-line winter gloves. My body shivered even with the five layers I had on. I felt like I was making minimal progress on the steep scree where each step I took upwards was quickly followed by a bit of slipping and sliding back down. Gazing up to where the mountain peak should have been all I could see was infinite darkness save the never-ending dots of lights from the headlamps of other climbers. I just wanted to stop, sit and take a break… maybe even take a nap right there. The thought of just quitting and heading back down to safety crossed my mind quite a few times. <GASP>! Quit? I know! The absurdity right? I’d come so far! But it was a mental battle. I was tired, exhausted, in pain, freezing cold and feeling miserable. Why would I put myself through this for another few hours? That would be absurdity and just silly. Yet, I had come so far. Why would I quit now? The minutes seemed to go on and on. The thought of quitting kept recurring more frequently. Evans pushed me onwards. He refused to let me give in. Every time I came close to stopping he nudged me further. He literally fed me water and shoved snacks in my mouth to ensure I was hydrated and fueled. Step by step I trudged. The sun was rising and at 7am I glimpsed up to see the sign: “Congratulations you are now at Uhuru Peak, Tanzania 5895 M/19341 Feet”. I stopped. Paused. Stared. Tears started streaming down my face. It hit me that I had made it. Those last 6 hours felt like the longest 6 hours of my life. I grabbed Evans, shouted “I made it!” and hugged him as he chuckled. I made it to the top of Mount Kilimanjaro and it humbled me.